Home Soccer Abdülkadir Ömür: "I wish I could play in Barcelona"
Abdülkadir Ömür: "I wish I could play in Barcelona"
Ömür is the squad member of Turkish Trabzonspor, one of the four big clubs in Turkey that uses the same colors as Barça. 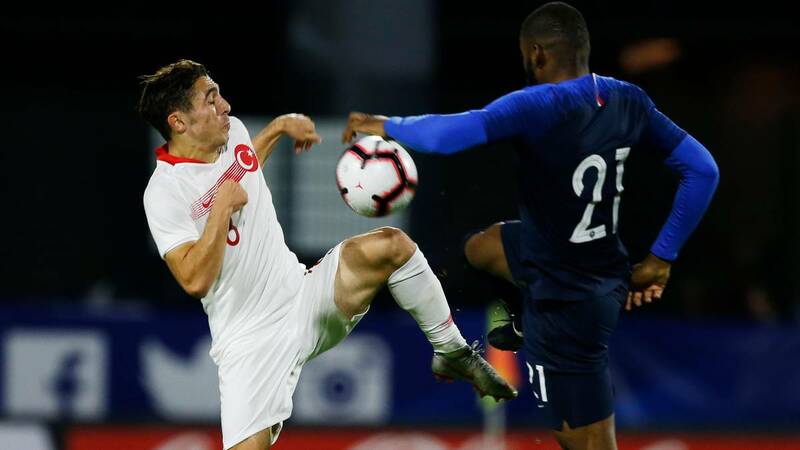 Abdülkadir Ömür, 19, has become a striking player for his performance since last season and fundamental piece of the staff of Trabzonspor. There is much expectation on the part of the young midfielder and several clubs have been interested in his signing for the market Of summer. One of these clubs is Benfica. If the eagles reach an agreement with Juventus for Joao Felix, the Turkish seems the first option for the Portuguese club to replace their youth team. The Benfica has already submitted a formal offer for the international Turkish last summer, but the Trabzonspor rejected it because it did not consider sufficient the figure offered by the Portuguese club. According to the Turkish press, the Benfica is ready to present 20 million euros to the Turkish club to close the transfer of the player when Pate the 120 million euros with Juve for Felix. On the other hand, Ömür is quite clear about his dream: "My dream is to play in Europe I do not know the club thinks about my future and nobody knows what will happen Summer, but I think that my style is suitable for the Spanish league, Arda Turan played in Barcelona and it was the second t urco after Rüştü Reçber. Ojála that I have a chance to play in Barcelona. I think I can if I work a lot. Barcelona and Trabzonspor have the same colors, that's why I feel closer to Barça emotionally. With the permission of God, I hope that I can go and play there. " In Turkey they call the" Turkish Messi " for actions very similar to those of the Argentinian in the field. Abdülkadir Ömür is a versatile player, can play in the midfield, on the right wing and number 10. The 19-year-old has seven goals and three assists in 26 games this season, and on the last day of the Turkish league he scored a fantastic goal against Bursaspor.